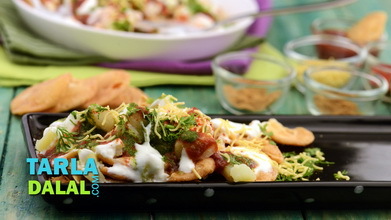 There are some cold, rainy days when you feel a craving for something crunchy and spicy. 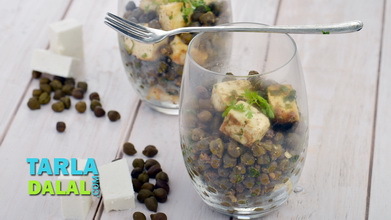 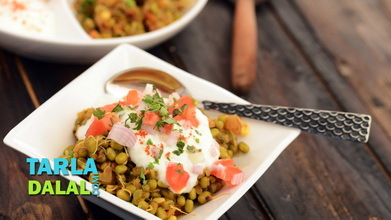 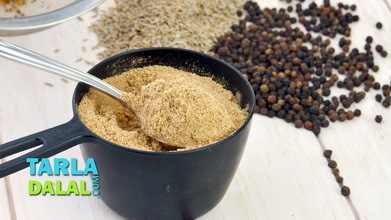 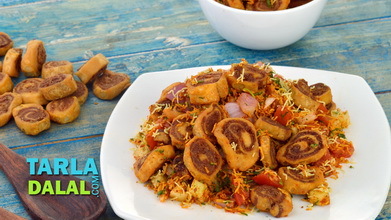 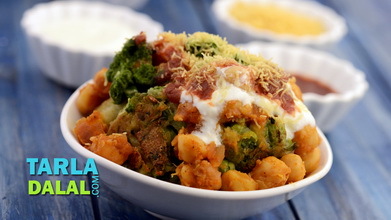 Here is a quick snack that you can fix up in a jiffy to liven your spirits. 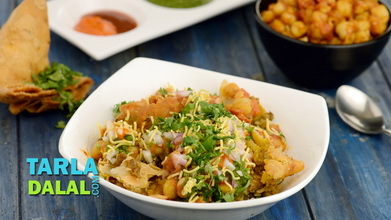 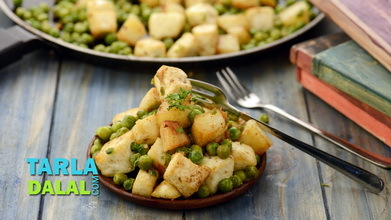 Surely, your entire family will love it as it is loaded with papdi, fruits, potatoes, cooked kabuli chana, chutneys and perky spices – there is something in it for everybody!